If you’re anything like us, cooking pasta means throwing the whole package into the boiling water, leaving leftovers that will never be eaten. In the spirit of conservation, the Spaghetti Meter will put an end to the wanton destruction of pasta. 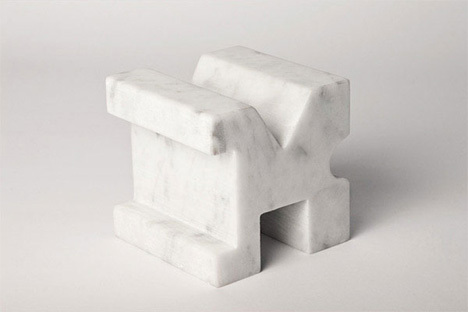 Studio Lievito cooked up this marble measurer, with simplicity as the goal. 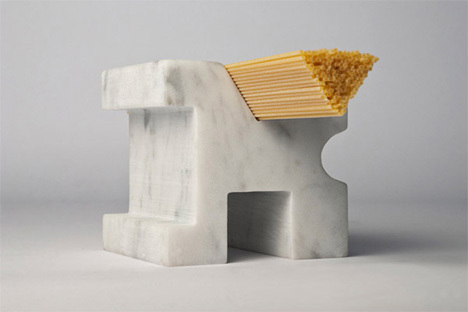 The sides of the block have grooves cut out, each fitting a different amount of spaghetti. The block is set on its edge and each quarter turn reveals a different groove. 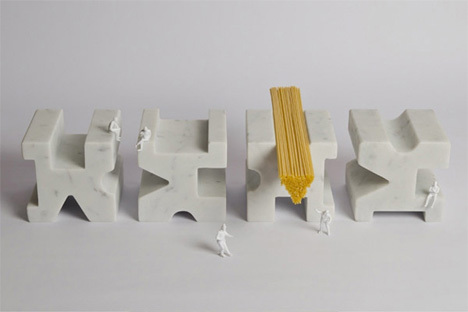 The sides are designed to fit enough pasta for one, two, three or four people. Insert the spaghetti (or any string-like pasta) until it’s level with the edge, et viola, the perfect amount of noodles. Prepare to have extra room in your fridge.